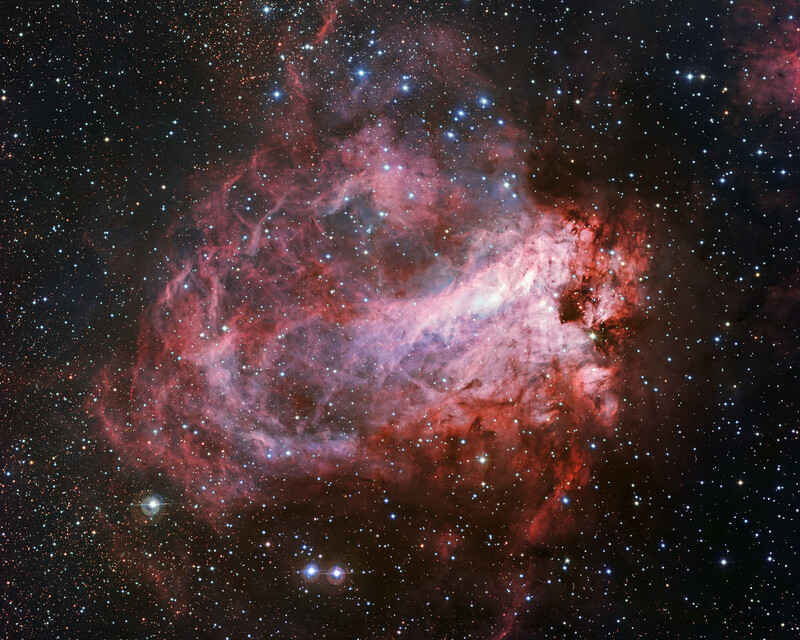 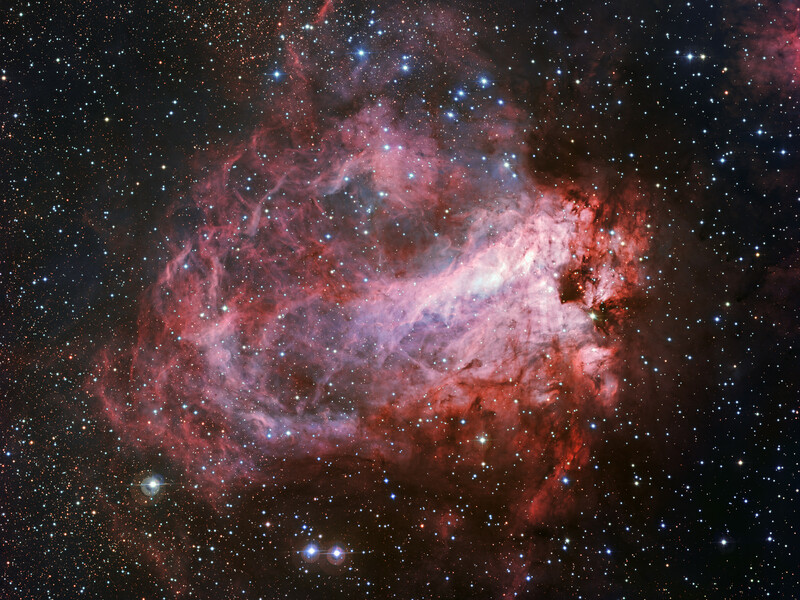 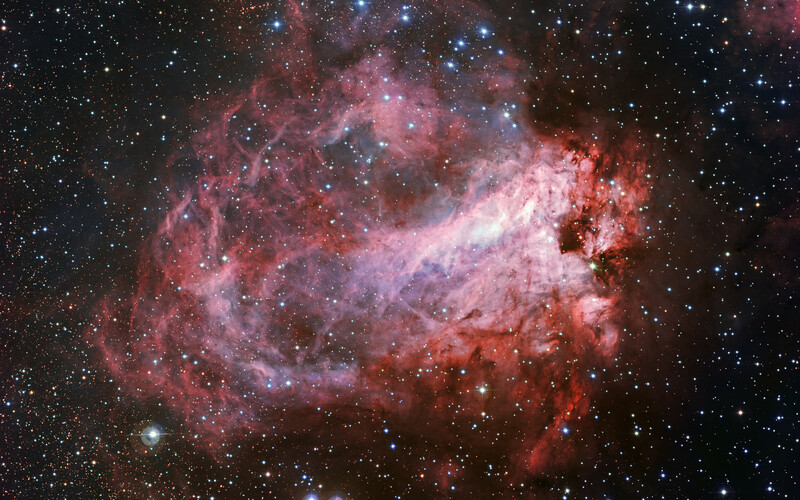 This image of the rose-coloured star forming region Messier 17 was captured by the Wide Field Imager on the MPG/ESO 2.2-metre telescope at ESO’s La Silla Observatory in Chile. 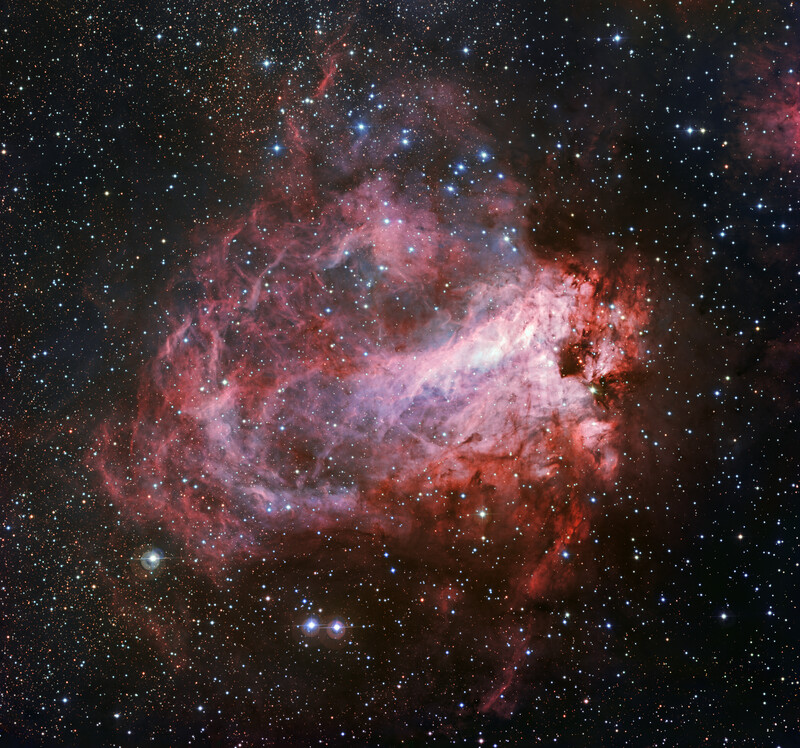 It is one of the sharpest images showing the entire nebula and not only reveals its full size but also retains fine detail throughout the cosmic landscape of gas clouds, dust and newborn stars. Position (Dec): -16° 11' 14.93"